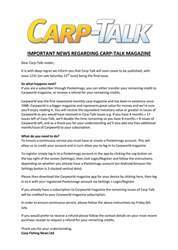 This week’s issue of Carp-Talk (issue 1223) is available to download now! 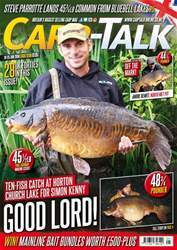 The big girls are really starting to wake up, as six of the Carp-Talk Most Wanted carp were caught this week. The largest of these was Wingham’s Black Spot at 60lb 1oz banked by Steve Sellick. Julian Evans landed the much sought after Single Scale from Ashmead at 54½lb while, also in the south west, Steve Elsbury bagged a new record from Anglers Paradise in the form of Silverback at 53lb 2oz. The Colonel made an appearance at 49lb 14oz to the rods of Bradley Wegner and Winton’s Pretty One was banked by Aidan Fitzgerald at 49¼lb. 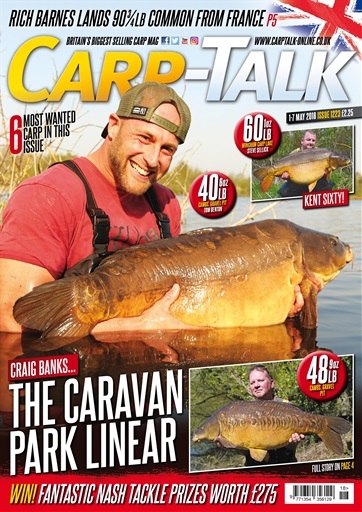 By far the two scaliest Most Wanted mirrors banked this week were the Big Girl from Cottington’s Lake Pepper at 49lb and Craig Banks with the Caravan Park Linear at 48lb 9oz. The BCAC is back again this week, with a round-up from the recent eliminators at Baden Hall, Orchard Place Farm and Walthamstow Reservoirs. 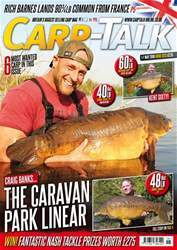 Simon Crow returns with his column, detailing the effectiveness of single hookbait fishing while fellow members of the Nash Tackle team reflect on a social held at Nash Lakes Royston recently. Joe Atkinson looks back fondly at a trip he enjoyed to Gigantica in France, where he landed some seriously impressive carp. 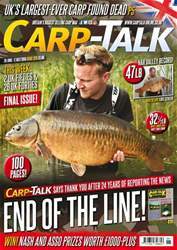 RidgeMonkey’s Nicky Onslow reveals how he kept his catch rate consistent at the back end of 2017 and we have a full page review of some new additions to the Fox Chunk range. The monthly winners of the RidgeMonkey junior competition are announced, along with the winners of the weekly Mainline Baits prizes. We also have three fantastic Nash Tackle bundles worth a total of £275 up for grabs.